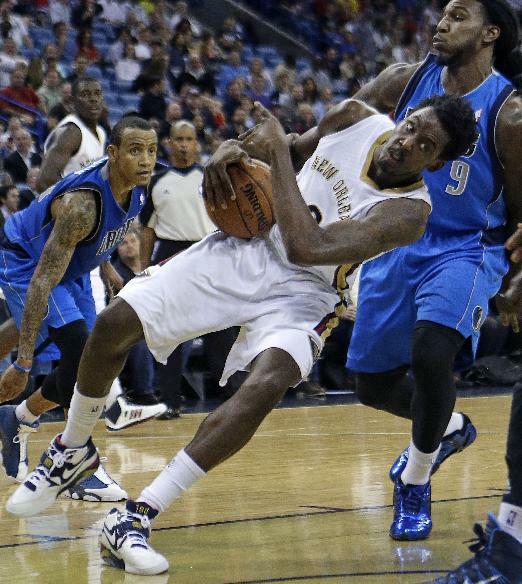 The Sneaky Fantasy Basketball Pickup for Tuesday, November 12 is Jordan Hill. He’s 9% owned in Yahoo! Leagues and 1.1% owned in ESPN Leagues, but expect those numbers to bump up after he got his first start of the season and dropped the first 20/10 of his career on a career-high 21 points. Much to Pau Gasol’s consternation, coach Mike D’Antoni demoted Chris Kaman back to the bench after just three days as a starter and switched in Jordan Hill for his energy. Considering the Lakers crushed the Pelicans thanks in large part to a heavy dose of Hill, Pau will just have to go home and wipe his tears away with his stacks of $100 bills. This move actually didn’t affect Kaman at all, as he still had a decent game playing around the same 20 min he always gets. Hill, on the other hand, had the best 26 min of any Laker this season. He obviously won’t do this every night, but I don’t think we’ve seen the best of him yet if he stays in the starting line-up and continues to get starter’s minutes. Or Gasol could be rolling his eyes when D’Antoni changes the line-up again in another three days. Is he legit? I’d be going out of my mind if Hill had put up these numbers against defensive savant Anthony Davis, but he actually did this against a steady stream of Greg Stiemsma, Jason Smith, and Jeff Withey while Davis stayed on Gasol. That’s not nearly as impressive. Still, Hill is huge, does bring a lot of energy, and has put up startlingly good per-minute numbers ever since he got to the Lakers (as in 15-13 per 36). As long as his minutes push up against 30 mpg, he’ll be a valuable asset. Other Notable Players: After all the time I’ve spent hyping up Zaza Pachulia, he goes out and drops a 3-5-0. Keep in mind, though, that he didn’t even practice on Monday due to an injury, and the Bucks were getting blown out. I wouldn’t worry about him, but now I won’t sigh at you in disappointment if you drop him to fill a more pressing need…In lieu of more Zaza, we got to see Giannis Antetokounmpo and John Henson get some run together, an interesting tandem since the two account for a combined wingspan of 14’9″ and combined weight of maybe 150 lb. Meanwhile, Gary Neal’s hot and cold streak continues, and don’t pay attention to Mike Beasley’s big garbage time numbers…Stiemsma went down with a sprained knee and had to be carried back to the locker room, meaning 15 mpg just opened up for Pelicans big men. Jason Smith did not have a good game, but he has been excellent recently. Now he could be in line for steady minutes even after Ryan Anderson returns…Steve Blake had a good game with 10 assists but little else in 27 min, but don’t ignore Jordan Farmar’s 9-7-8 in 20 min. The fewer minutes for Blake was due to the Lakers’ blow-out, but I don’t believe he’s in the clear yet in terms of completely having the job over Farmar…DeJuan Blair had another strong rebounding night, but his value isn’t as high when he isn’t grabbing steals…The Sixth Man of my Top 5 is definitely Jodie Meeks. After tonight, his percentages are a ridiculous (and completely unsustainable) 53-48-85, while he’s giving you 13 points and 2.2 threes a game. He’s consistent, too, meaning he’s getting close to those numbers every night and not wildly alternating between good and bad games. Still, I can’t advocate picking him over Crawford’s and Blakes’s assists, Metta’s steals, Hill’s upside, and Pachulia’s $20 that he pays me every night to keep him at the top of my list. 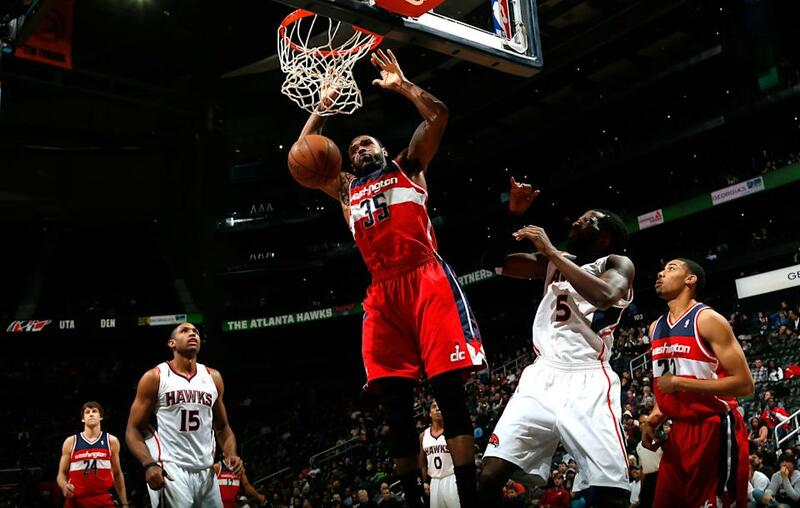 Hindsight: What happened to you, Martell Webster? 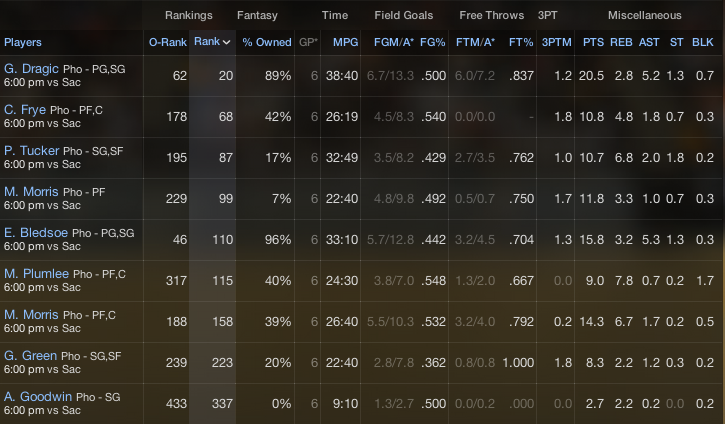 The Sneaky Fantasy Basketball Pickup for Sunday, November 10 is Steve Blake. He’s owned in 14% of Yahoo! Leagues, but his stock has been slowly rising as Steve Nash’s continues to fall. Remember that weird tidbit from coach Mike D’Antoni’s introductory press conference with the Lakers last year about how he’d always wanted to coach Steve Blake and that he’d been trying to get Blake on one of his teams for 10 years? 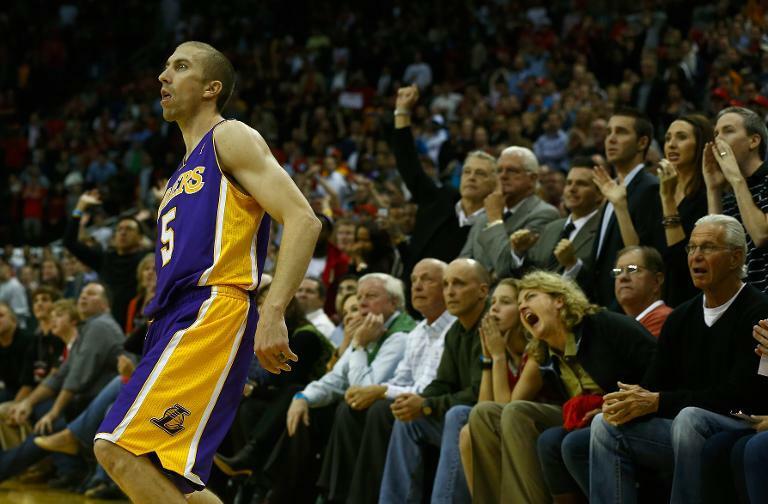 At that point we all collectively said, “Huh, Steve Blake?”, but now it seems he might’ve been serious. Steve Nash has been battling back pain all year and will see a doctor about it on Monday. If the 40-year old PG needs to be shut down for any amount of time, both Blake and Jordan Farmar’s values will shoot up. Originally, Farmar looked like the heir apparent here, but Blake has caught fire since hitting the game winner in Houston. He will get first crack at the starting spot if Nash is out. Is he legit? We do have to remember this is Steve Blake we’re talking about here. He might end up getting 36 mpg, but even his per-36 min numbers haven’t looked great. He will get you threes, assists, and the occasional steal, but he doesn’t get to the FT line and his FG% has always been subpar. Still, he will be the captain of a Mike D’Antoni offense, and this is an offense that has made valuable fantasy producers out of Steve Blake’s ilk before (Holla Q-Rich, Leandro Barbosa, and Raja Bell!). Other Notable Players: Also on the Lakers, Jodie Meeks continues to be Mr. Consistency if you’re looking for a stable source of threes. His FT% has always been good, but his .507 FG% this year is nearly 10% above his career average. Nash’s injury helps him as well, as he’s likely sliding into the starting SG spot…Jason Smith had his best game and most minutes of the season as Greg Stiemsma fell out of the rotation. His midrange shooting creates good spacing for Anthony Davis, but the Very Rich Man’s Jason Smith, aka Ryan Anderson, could be making his return as early as Tuesday…As expected, J.R. Smith returned to the line-up and took minutes away from Iman Shumpert, while Metta World Peace had the second-most playing time after Carmelo Anthony…Reggie Jackson, looking revitalized! This was more what I had in mind when I said hold on to him even after Russell Westbrook comes back, though it must be noted Westbrook was ejected from this game…Steven Adams, on the other hand, did not have a good game and didn’t play many minutes, but Kendrick Perkins continues to be ineffective and played just a smidge fewer minutes. Adams is a good guy to stash in roto leagues while we wait for him to take over Perkins’s job, but he’s not going to be a useful rotation piece in head-to-head leagues…Gerald Green still had a productive game despite Goran Dragic’s return but also saw his minutes drop to the fewest since Dragic went out. The Suns have looked good with Green in the starting line-up, but his production is likely about to get too inconsistent to keep him…The Nuggets didn’t play last night, but an opportunity is about to arise for someone with the news that JaVale McGee is out indefinitely with a broken leg. The question is who will absorb his minutes? The options are J.J. Hickson, Anthony Randolph, and Timofey Mozgov with Darrell Arthur as a longshot. None of them have played much. Arthur will likely still be buried on the bench. Mozgov might get the start but doesn’t have the talent. 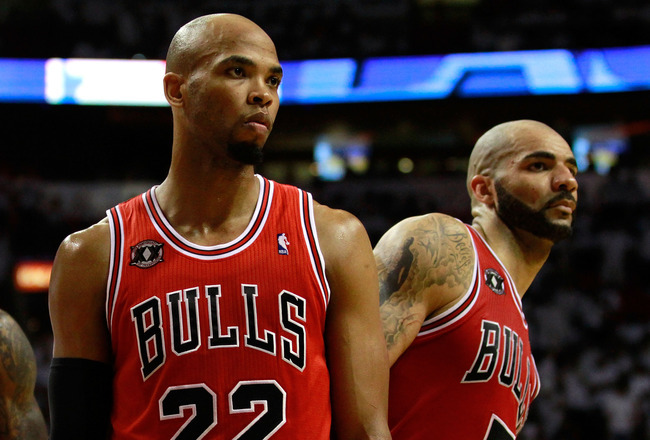 Randolph has the most talent but has never strung together any streak of consistency in his entire career. Hickson actually had good value last year averaging a double-double for Portland and will probably be the winner here, though will it be enough? McGee only played 16 mpg this season. If one of the above players takes all his minutes, that player will instantly become valuable. If those minutes are divvied up more evenly amongst the platoon, none of them will. Accountability: No regrets last night, baby! I’m feeling good about Metta, Reggie and Markieff Morris, and I’m going to keep pimping Steven Adams.